Alcohol isn't the only dangerous drug on the road. Illegal and prescription drugs can both distort the senses and cause side effects such as tunnel vision, dizziness and loss of concentration. They can also give you a false sense of alertness. Some drugs, such as ice, can stay in your system for several days making it dangerous to drive well after taking the drug.Research has shown that when drivers with three or more drugs in their blood are involved in crashes, they're at fault in more than 95% of cases. 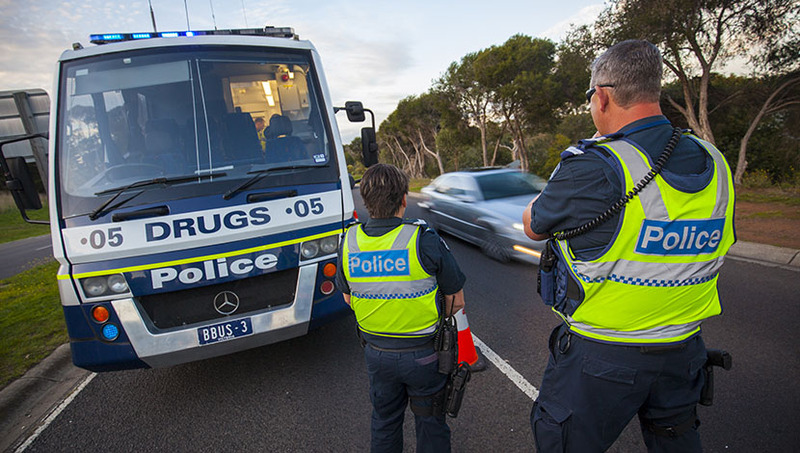 Victoria Police are increasing drug driving tests to check for a number of drugs. They are also conducting world-leading research into crashes involving driving under the influence of drugs, with the goal of finding better tools to help drug drivers change their behaviour. As part of the Towards Zero Action Plan, ten new purpose-built drug and booze buses will more than double the number of drivers drug tested to 100,000 tests a year, making it much more likely potential drug affected drivers will be deterred or caught. It's worth remembering that prescription drugs can be dangerous too. If you're on medication and not sure whether your driving will be affected, check with your doctor or pharmacist. If you want more information about drugs and the risks of driving, visit the Alcohol and Drug Foundation website. If you get caught with drugs in your system you’ll lose your licence for a minimum of six months and will also need to complete a drug driver program before getting your licence back.